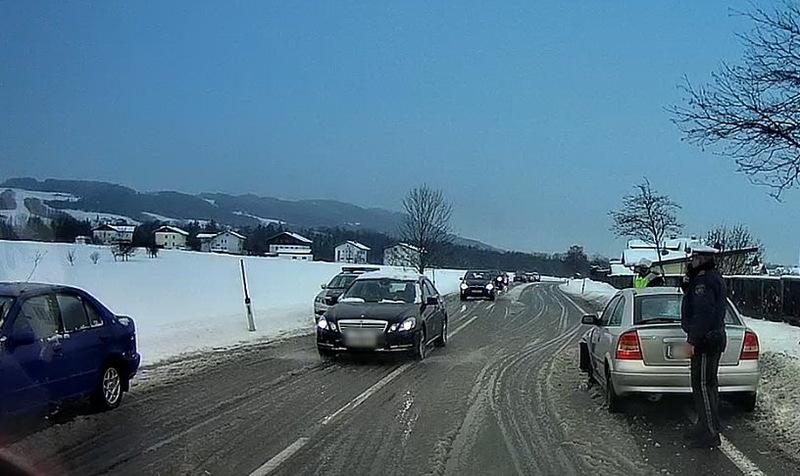 Obwohl der Winter bereits schon länger die Straßen im Griff hat kommt es immer wieder zu Verkehrsunfällen. Hier hilft nur vorsichtiger und langsamer fahren. 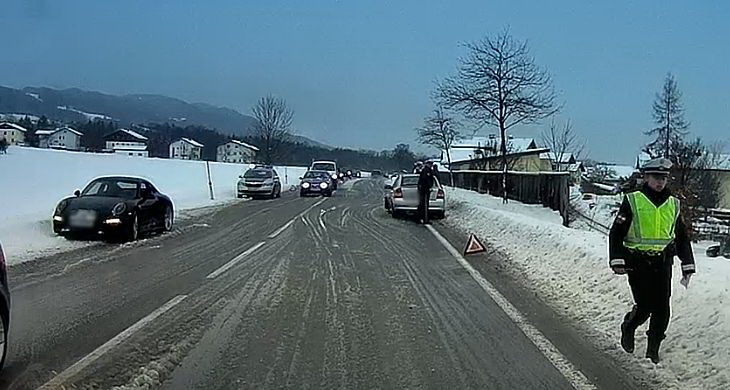 Although the winter already has the streets under control for a long time, it always comes back to traffic accidents. Only cautious and slower driving helps here.